Northcote High School’s uniform was designed with and by students, parents and teachers. Our uniform communicates a belonging to and sense of pride in the school community. Students are expected to wear full uniform each day. The uniform is gender neutral. All items of the Academic uniform may be worn year-round. Students may select the combination of items in the Academic uniform which best suits their needs.The Academic uniform is the standard school uniform and is expected to be worn each day. The Sport uniform is to be worn for practical Sport and Physical Education classes. In most cases, students will change in to / out of their Sport uniform during the day. See Uniform Expectations 2019 for more information. Non-official clothing items are not permitted, including caps, hoodies, sweatshirts, visible T-shirts, scarves, jackets or leggings. If there is a legitimate reason that a student is out of uniform, they should bring a note from their parent/guardian and obtain a Uniform Pass from their Sub-School before Period 1. Students out of uniform will be asked to remove the non-uniform item wherever practicable, and may be provided with a substitute loan item for the day. Consequences such as Community Service may apply for students out of uniform without a Uniform Pass. All items of uniform are to be worn clean and in good condition at all times. Black, leather (or polishable substitute), ‘business style’ school shoes are to be worn with the Academic uniform. For safety, lace up shoes are recommended. Runners and skate shoes are not permitted. Secondhand uniform items are also available online from our Sustainable School Shop. Registration is free. To buy or sell items, visit Sustainable School Shop. Please note that, due to uniform changeover, in 2019 it is likely that only items of the old uniform will be available. These may be worn by students in Years 8-12 until 2021, at which stage all students must wear the new uniform. 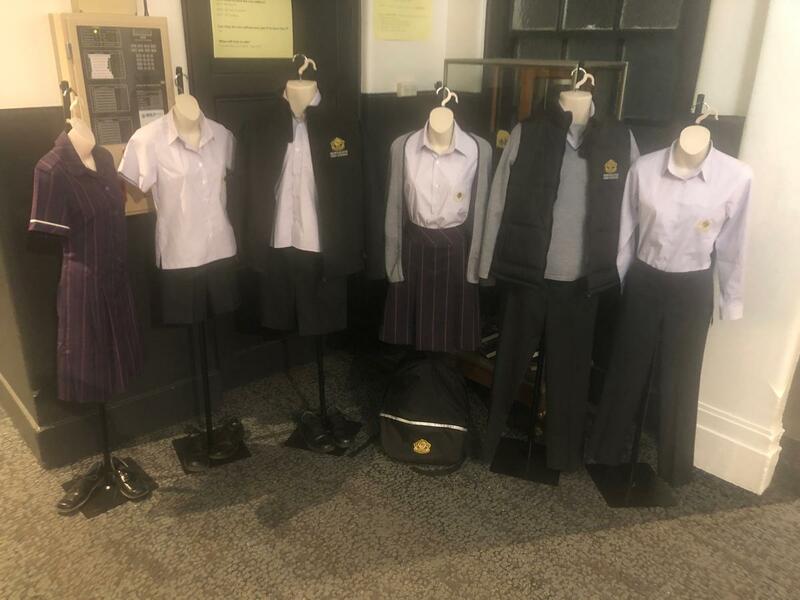 Our Uniform Shop stocks all the official uniform items and is open during the term. To make a personal fitting appointment outside normal trading hours, call 8373 0706 or email Ivanhoe@noone.com.au. Our uniform is also available from Noone Imagewear at 283 Lower Heidelberg Road, East Ivanhoe. You can also shop online and then pick up the items in store or have them delivered to your home. Our uniform is being updated from 2019. In 2019 Year 7s will wear the new uniform. Current students will be able to wear the existing uniform throughout 2019 and 2020, with a changeover to the new uniform in 2021. Current students may purchase and wear new uniform items earlier than 2021.